I have a type A personality by nature. I like things tidy, orderly, and I love having a plan. This all worked very well until I got married, had kids, and realized I was no longer in control of my day-to-day life, amen? Now, I’m more of a chaos manager than a peaceful, orderly person, but I’m alright with that. And I’ve found that the chaos tends to stay under control fairly well if I just put a few well-established systems in place. I use my planner to do this on a daily basis, but for all the big picture stuff I have to manage, maintain, and keep track of, I’ve found Trello. And Trello has become my new best friend. 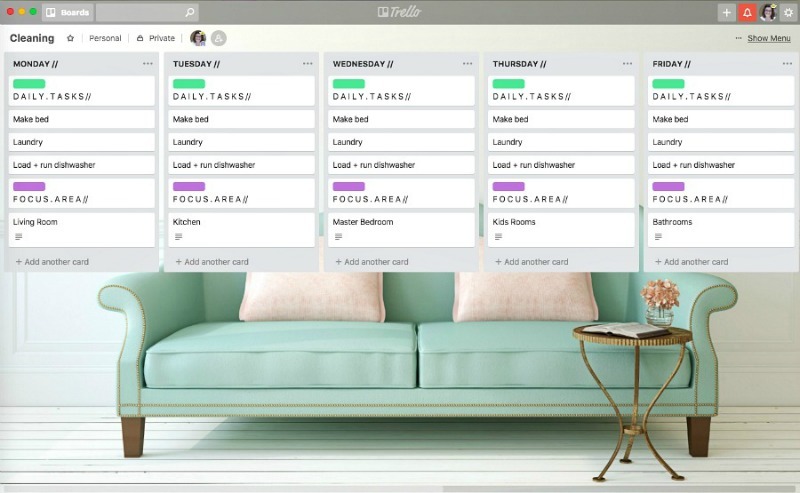 Trello is an app that helps you visually organize and manage things you used to need paper for. Plus, it syncs with your phone and your computer – and your husband’s phone as well! I used to LOVE my home management notebook – in fact, that was the very first product I created, back when I was just starting the blog! That notebook gave me a place to manage my cleaning routines, keep track of all my important info, and even plan out my meals for the month. It was my home base. Now? 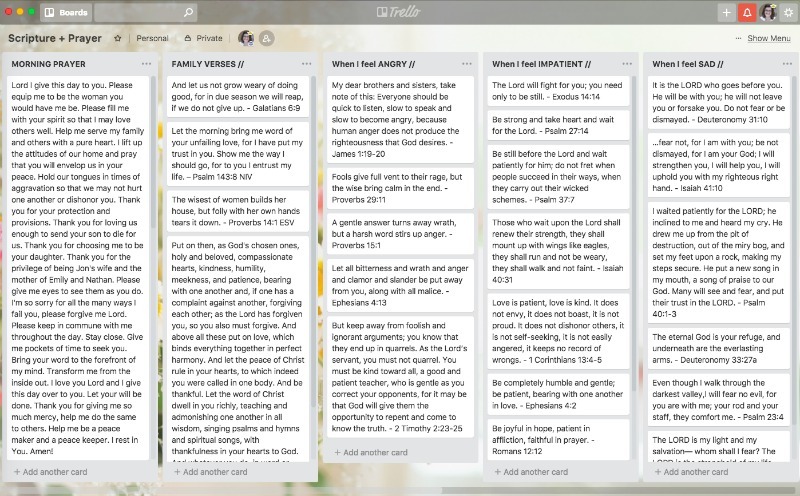 Trello does all that for me – and MORE! 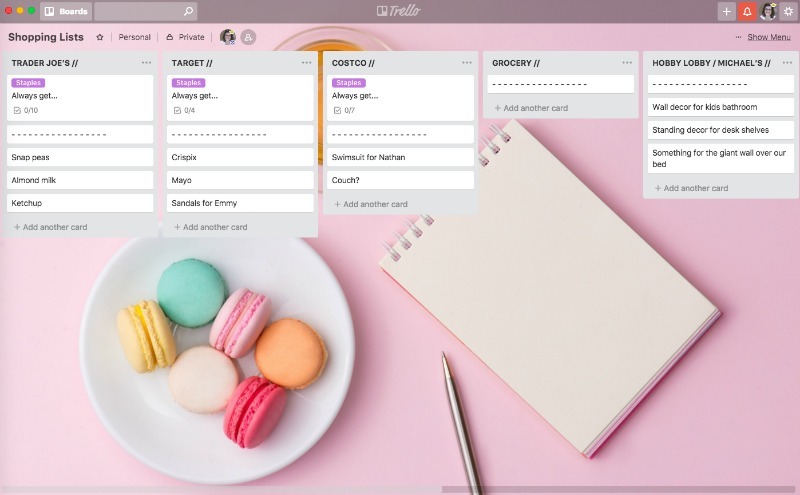 Trello uses a board system to organize information into lists and cards. Think of it as a collection of topical whiteboards – like a massive command center! Each board has a topic, and within those topics, I create lists and cards to manage the information I need. For example, I have a Shopping Board. On that board, I have a list for each store I visit on a regular basis, so when I think of something I need, I simply add it to the correct list! And by the way? Trello is FREE! Trello has completely replaced my home management notebook, AND given me an even better format to contain all of that information – because with Trello, I can give my husband access to all of this info as well! Within those boards, I can store pictures, file away PDFs, create routines and schedules that sync with our shared calendar, and still have everything at my fingertips, no matter where I am. I have tried a variety of management and productivity apps, and Trello is, by far, my very favorite. I use it to manage our home AND run my business, and it continues to get better every day. It’s so comprehensive, and so pretty to look at – you’re going to love it! Want to see Trello in action? It really IS best to see Trello in action, which is why I created a free course showing you exactly how I’ve set up my boards to manage our home, how I sync it all with my husband, how I’ve eliminated paper clutter, and how you can do the same! Click here to enroll in that free course and start watching the videos right now! At heart, I’m a paper and pen girl all the way. 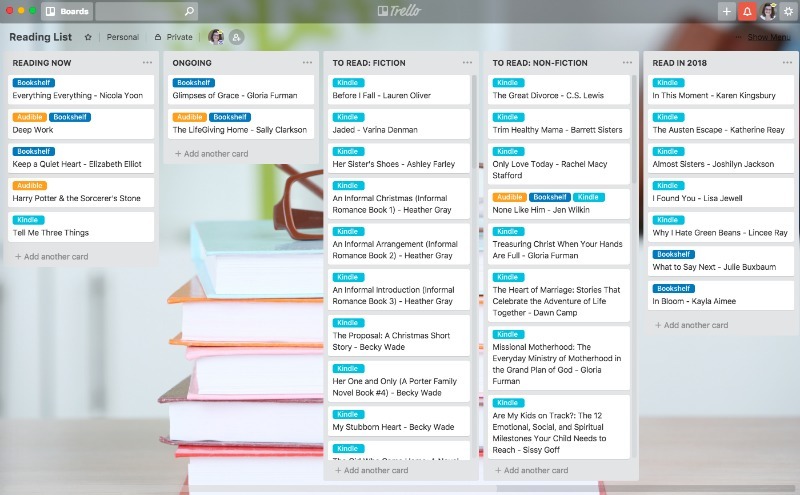 But the convenience of Trello, plus the fact that my paper clutter has been seriously minimized, makes this system the BEST thing I’ve created for the big picture view of running our home. And today, I’m sharing it with you! 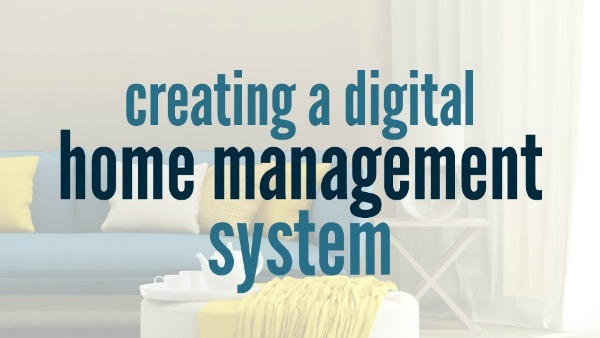 Click here to enroll in our free course – Creating a Digital Home Management System. Have you heard of Trello before? What have you used it for?